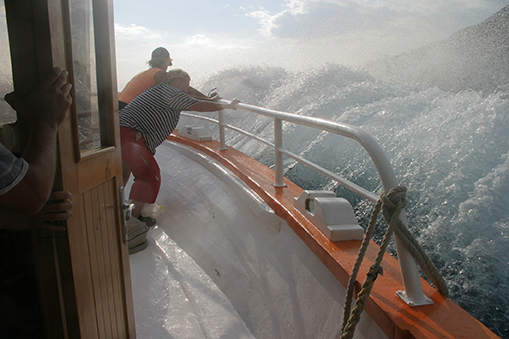 But no matter how careful you are on the high seas, accidents happen. And sometimes, those accidents are caused through no fault of your own. Otorowski Morrow and Golden, PLLC serve residents of Seattle, WA and Bainbridge Island, WA with personal injury counsel. Specifically, we can help you through your maritime injury case by advocating on your behalf. You may have experienced a traumatic boat crash or suffered a serious injury while on your company tanker. Come to us for clarity on how to proceed. Our maritime injury attorney will review your accident, complete necessary paperwork, and determine the negligence of the involved party. If you were the victim of another’s careless action or inaction, we’ll establish a plan to gather relevant evidence and acquire financial damages. Maritime law can be complex, especially if a commercial entity is involved. But rest assured that our expert attorneys will fight tenaciously and shrewdly for your rights. You deserve the highest quality of legal aid when you seek help for your personal injury. Our team has over 120 years of combined experience, and you’ll even find a skilled staff physician in our offices. We have seen all kinds of cases, ranging from truck accidents to wrongful deaths, and we feel prepared to handle your situation too. Our successful track record involving thousands of injury cases speaks for itself. So when you need to speak to a boating accident lawyer or other legal representative, don’t hesitate. Call 206.842.1000 to set up a free consultation.